Rodgers signed a two-year contract with the Eagles on Thursday, Adam Schefter of ESPN reports. 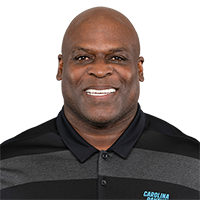 Analysis: The Eagles have been among the league leaders in using two- and three-tight end packages under head coach Doug Pederson, so the third tight end on the roster is more important than usual in Philadephia than other places. Rodgers' return to the Eagles could therefore be of importance in fantasy should something happen to Zach Ertz or Dallas Goedert in 2019. Rodgers appeared in seven games during his first season in Philadelphia, finishing with one reception for seven yards. Analysis: Rodgers was expected to battle rookie Dallas Goedert for the top backup job behind Zach Ertz, but a preseason knee injury undermined the veteran's efforts. By the time Rodgers returned to availability mid-season, Goedert had firmly entrenched himself as the No. 2 tight end. Rodgers never played more than 13 offensive snaps in any of his contests and will now test his luck in free agency this offseason. The Eagles activated Rodgers (knee) from injured reserve Friday, Zack Rosenblatt of NJ.com reports. Coach Doug Pederson said Wednesday that Rodgers (knee), who was cleared to practice a day earlier, could be reinstated from injured reserve ahead of this weekend's game against the Saints, Martin Frank of The Delaware News Journal reports. The Eagles cleared Rodgers (knee) to practice Tuesday, opening a 21-day window in which to activate the tight end from injured reserve, Dave Zangaro of NBC Sports Philadelphia reports. Analysis: Sidelined since injuring his right knee in preseason Week 2, Rodgers is entering the final stages in a quest to make his Eagles debut. 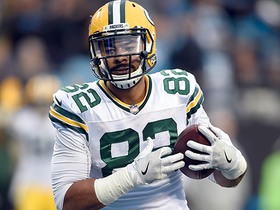 With fellow TE Zach Ertz embedded as the team's clear-cut top pass catcher and rookie Dallas Goedert a more than competent blocker, Rodgers may find snaps difficult to come by once he's cleared to play. 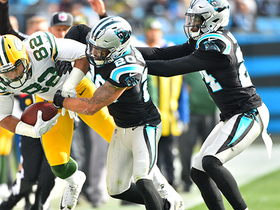 However, Rodgers could make an impact in the red zone after averaging 6.5 targets per season in the region during four years with the Packers. Houston Texans defensive end Jadeveon Clowney does it all by forcing a strip-sack and recovering the fumble. 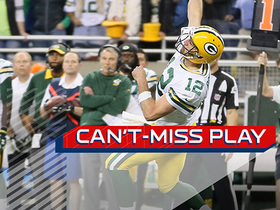 Green Bay Packers quarterback Aaron Rodgers launches a last-ditch Hail Mary pass as the clock winds down that finds Richard Rodgers for a miraculous 61-yard touchdown catch to end the game. Green Bay Packers quarterback Aaron Rodgers launches a pass to tight end Richard Rodgers for the 24-yard TD. 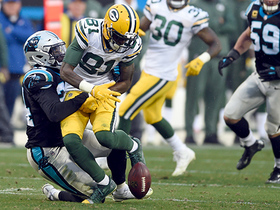 Green Bay Packers wide receiver Geronimo Allison fumbles late in the fourth quarter and the Carolina Panthers recover it and seal the victory. 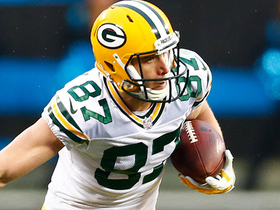 Green Bay Packers quarterback Aaron Rodgers finds tight end Richard Rodgers for 36 yards. Green Bay Packers quarterback Aaron Rodgers slings a pass to his wide receiver Jordy Nelson for a first down and gain of 6 yards. 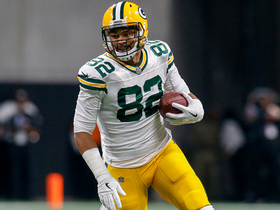 Green Bay Packers quarterback Brett Hundley throws to tight end Richard Rodgers for 25-yard gain. 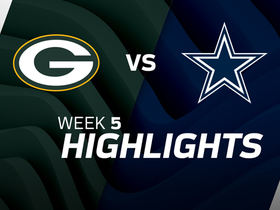 The Green Bay Packers faced off against the Dallas Cowboys in Week 5 of the 2017 NFL season. 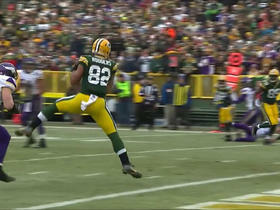 Green Bay Packers QB Aaron Rodgers finds tight end Richard Rodgers for 13-yard TD strike. 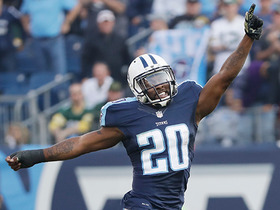 Titans cornerback Perrish Cox picks off Packers quarterback Aaron Rodgers.